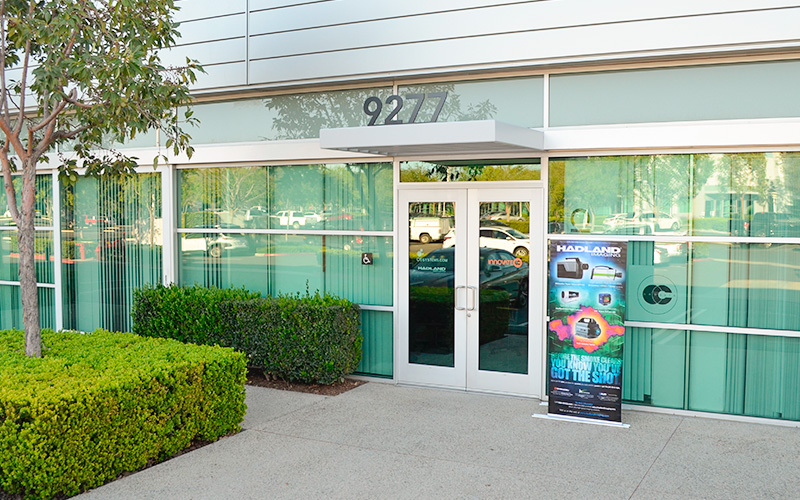 Hadland Imaging opened a new 600 square foot office and studio in Irvine, California on March 4, 2019. Irvine is the hub of Orange County’s Tech Coast, and is home to the University of California, Irvine, as well as leading corporations in the fields of video games, semiconductors, medical devices, and aerospace. The purpose of the new office is to provide technical and sales support to present and future customers throughout Southern California, a region that boasts outstanding universities, major research laboratories and test facilities, a diverse manufacturing base, and world-famous movie and television studios. To reach out to potential customers, Hadland Imaging became a corporate member of the Optical Society of Southern California, an organization dedicated to increasing and disseminating the knowledge of optics and closely allied sciences. Research efforts at the Irvine office will focus on integrating Hadland’s high-speed cameras with digital schlieren systems developed by Hadland’s partners.